OK so we all know that people carriers are probably the least exciting cars on the road but Kia's new Caren's has a lot to shout about. Don't worry if you can't remember the previous model, you're not alone. It was completely lacking in sparkle. 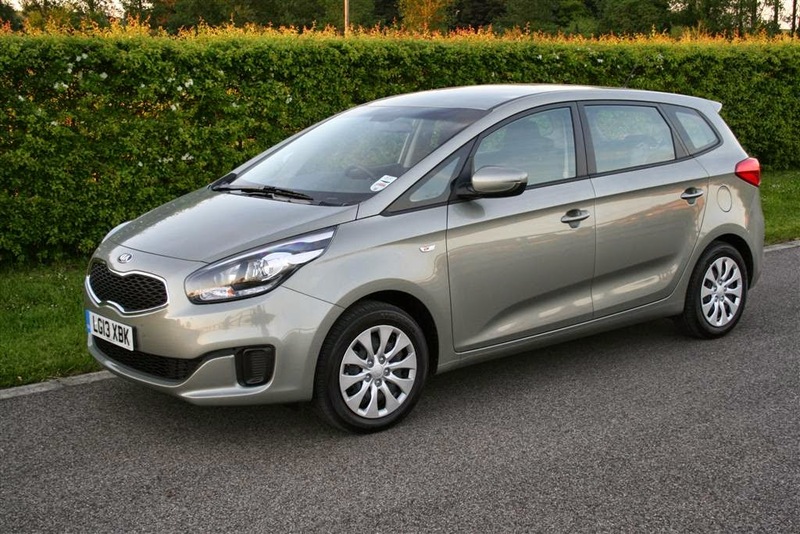 This Carens is new from the ground up, it's also the final piece of the Peter Schreyer jigsaw that has seen every model in the Kia range transformed into altogether more competitive machines. With stiff competition from a whole host of established models the new Carens needs to be brilliant to succeed. Read on to see if it's any good. People carriers live or die by their practicality and Kia has really hit the jackpot with the Caren's. Unlike a number of rivals all models have seven seats, the rear most two spring up from the boot floor with a simple tug of the straps. Space is decent for short journeys but is no worse than any of its rivals and thanks to an exceptionally long wheelbase space in the remaining five seats is palatial. The middle row individually slide, recline and fold making for a completely flat load bay. You can also fold the passenger seatback down for carrying long loads. Simple and uncluttered was the design brief for the interior which is very pleasing to the touch thanks to plenty of squishy materials on all of the major touch points. There's also the customary neat storage areas scattered around the cabin. 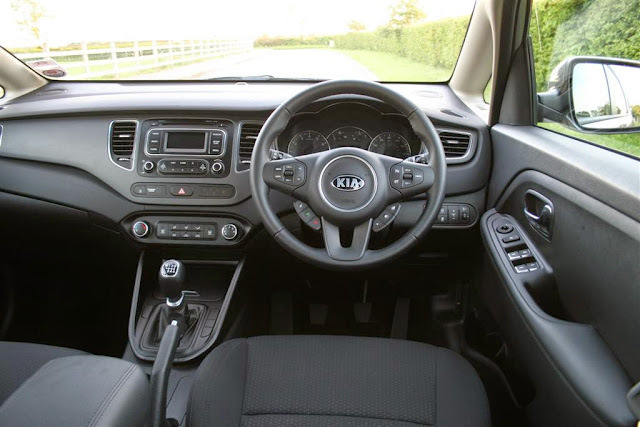 It's also refreshing that even in base '1' spec goodies such as cruise control, leather bound steering wheel, four electric windows, Kia's Flex Steer system and Bluetooth connectivity are all standard. The Carens that went before was as exciting as a poke in the eye to look at but the new car is a lot better. It borrows familiar cues from the smaller cee'd including the 'tiger nose' grill and sweptback lights that house LED daytime running lights. 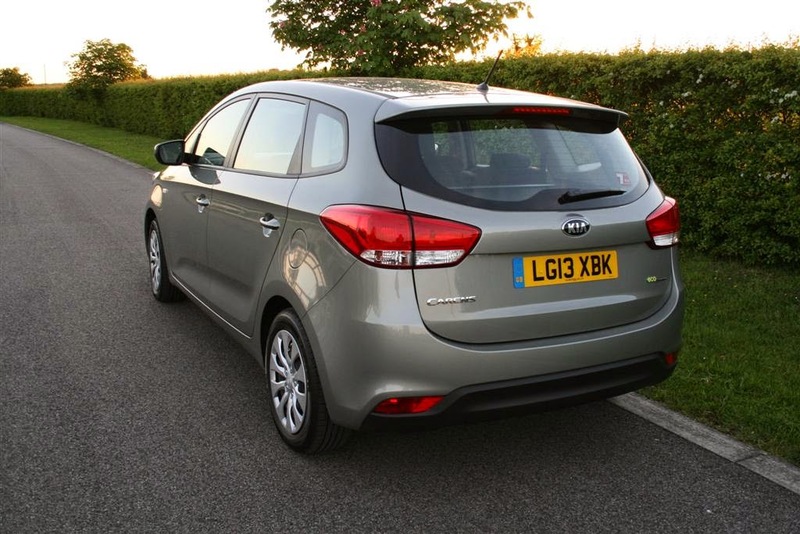 In profile Kia have gone for short overhangs, a shallow glass area, simple surfacing and a rear end that mimics the Germanic cee'd SW. It gels together really well even without the chrome accents and alloys of higher trim levels. There are two engines to choose from consisting of a 1.7 litre CRDi diesel in two states of tune (114 or 134 bhp) or a 1.6 litre direct injection petrol boasting 133 bhp as fitted to our test car. It lacks the low end torque of the diesels but it still does a decent job of hauling the 1606 kg Carens but requires a few down changes of the excellent six speed gearbox for overtaking. It also needs to be revved hard to get the most from it but it never sounds strained. What strikes you most about the Carens on the move is the superb comfort and refinement it provides. The seats are incredibly comfortable and ride is beautifully smooth and supple ironing out even the worst surfaces. 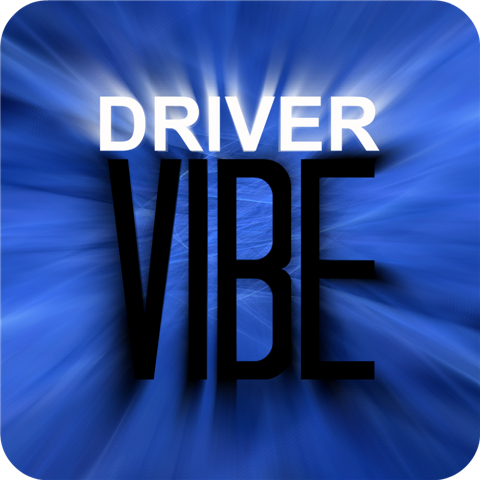 Wind, road and engine noise levels are barely audible at all speeds making long drives relaxing for all the family. There is a price to pay however as there's little fun to be had on sweeping country roads mainly due to the lifeless steering that's vague no matter which Flex Steer setting you opt for. There is plenty of grip though and the chassis feels secure and composed even when pushed. Kicking off at a snip under £18,000 for the model you see here the Carens craftily undercuts its closest rivals yet doesn't skimp on standard equipment or safety features. It also comes with Kia's industry leading seven year/100,000 mile warranty for added peace of mind. Although the petrol engine is far from thirsty it's the diesels that cost very little to run falling into VED band D compared to band F for the model you see here. If you're in the market for a seven seat family car you really must consider the new Carens. 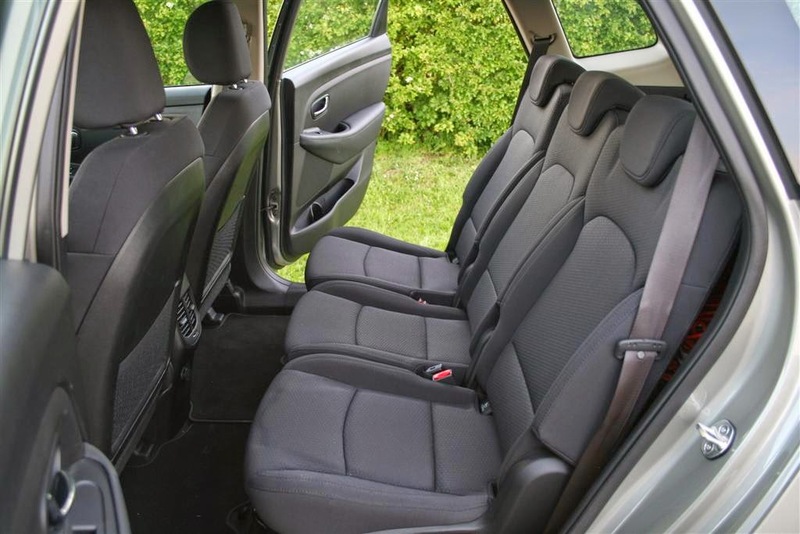 It has a spacious, flexible cabin that can seat five adults and accommodate all of their clobber. Then there's the option of utilising the two additional seats in the boot for pair of kids. The cabin itself is smartly designed using plush materials and isn't lacking in kit or handy stowage areas. There won't be any complaints on the move either as the Carens is supremely comfortable cosseting passengers even on the worst of Britain's roads yet feels safe and secure when cornering. We would however recommend trying one of the diesel engines as the petrol can feel breathless and isn't as cheap to run. There really is little that the Carens doesn't do well and for that reason we would highly recommend it.